In addidtion to supplying sports kit and equipment to clubs, schools, colleges and universities, Imperial Sports is proud to help support local initiatives in Sport, such as girls' football and looks to promote sport in the local community. 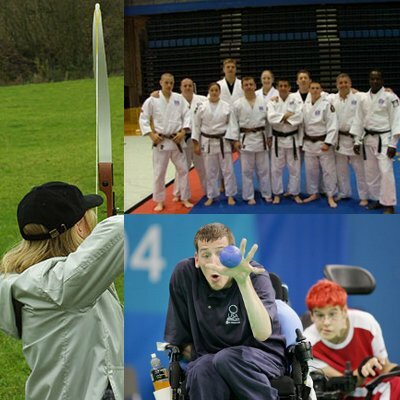 From Boccia to Badminton, from Archery to Zorbing, Imperial Sports Limited will deliver quick, reliable and cost effective solutions for your sporting needs. We cover a range of sports, using our knowledge and experience to solve supply and sourcing issues. We not only import goods ourselves, but also source from a network of UK based clothing and sports goods suppliers as well as famous brand names. With all those companies behind us, we know we can fully support our customers, whatever they want. We offer a range of printing and embroidery services so that you can stamp your identity on whatever you need. You can help build your team spirit with your own badge or logo. Make your players feel part of the team with their own names or initials. Ask us for a quote or advice on colours, costs and suggestions. We have supplied all types of kits for all types of clubs, schools, colleges, universities and even the Armed Forces, so we've got a wealth of experience available all for you. You are only a call away from some good advice and guidance and if we can't help, we'll even point you in the direction of someone who will. We constantly look for top quality sports wear and equipment so that you can get the latest and best of what's available. If value for money is the top priority then let us help you find some bargains from ex-catalogue stocks. That means no reduction in quality, just price. We'll supply your trophies and medals, your balls and bats, your clothes and kit-bags, the first-aid kit and goals, the hoodies and t-shirts, the flags and banners, the.....well, you get the picture. Contact us.